What Is Business Law & Ethics? It’s easy to think that business law and business ethics are interchangeable. They are not. In a best-case scenario, they should shadow and complement each other, but that is not often the case. Business often takes actions that are legal, but not ethical. Understanding what business law and business ethics are will help the differences to become clearer. Business law, or commercial law, is the body of law that relates to trade and commerce, banking and investments, contracts, marketing and advertising, incorporation and corporate structure, and finance and collections. 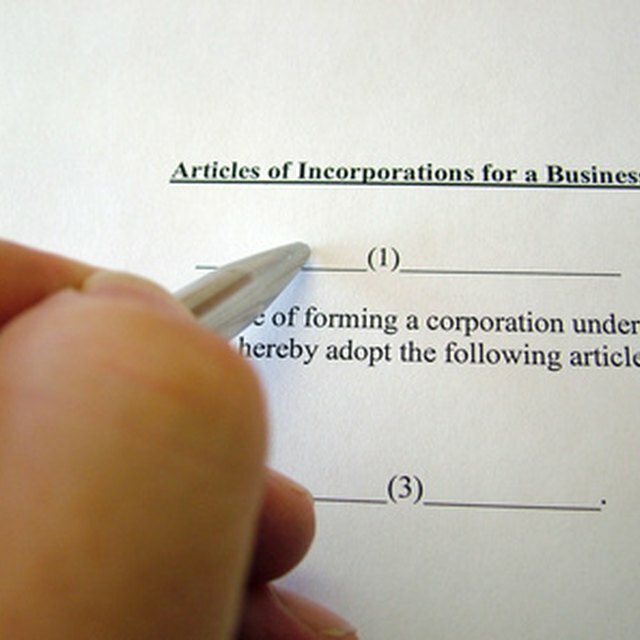 Business law in the United States is delineated by the Uniform Commercial Code (UCC), which sets the standards and rules for commercial activity. Every state has adopted at least part of the UCC. State and federal governments supplement the UCC with other regulations that reflect the individual situations that affect their territories. Business law determines the minimum standards of behavior expected of companies and sole proprietorships. Enforcement of these laws on a corporate scale generally consists of fines charged to the corporation. Individual accountability for corporate crime has to be proven to have taken place by the responsible party. For example, a company may have sold a product it knew was defective, choosing to sell it anyway. Unless you can prove in a court of law through evidence that the president of the company in particular knew about the defect and ordered the product to be sold, you can sue the company, but you cannot press criminal charges against the corporation. Since a corporation cannot do jail time, all there is left to use to penalize the corporation are fines or court judgments. Business ethics go beyond simple legality. They describe the way a business should behave--how a business does what it is legally obligated to do. Ethics are not as much a specific code of conduct as they are values to be upheld and practiced. They are the spirit of the law, as opposed to the letter of the law. This is designed to create an environment of personal accountability within the business, where there is none under the law. What is Economic Entity Assumption? What Are Ethics & Values? Business ethics also shape the perspective that the public uses to view a business. Values like honesty, integrity, confidentiality, respect--those are values that are a part of business ethics. While the law may not require you to tell the complete truth in a business situation, such as when a manufacturer uses “puffery” to describe an object, being honest about the product will gain a business a reputation for being ethical. People want to do work with or make purchases from businesses they believe to be ethical. Due to some of the Wall Street scandals of the early 2000’s, laws like Sarbanes-Oxley Act of 2002 were put in place to bring some ethical accountability for corporate financial behavior. This has made legislators more comfortable with the idea of telling businesses how they should act, instead of merely telling them how they can’t act. The field of business ethics has blossomed due to the creation of consulting firms that help businesses to develop ethical policies and to monitor compliance with regulatory standards. Business law has begun to merge with business ethics.